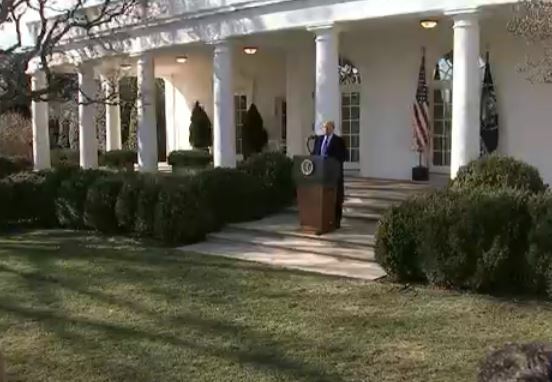 (CNSNews.com) - Departing from his normal speaking cadence, President Donald Trump on Friday announced that he will sign a national emergency to redirect money he wants for his border wall. "I'll sign the final papers as soon as I get into the Oval Office, and we'll have a national emergency," Trump stated in his normal speaking voice. And we will then be sued; and they will sue us in the 9th Circuit, even though it shouldn't be there.